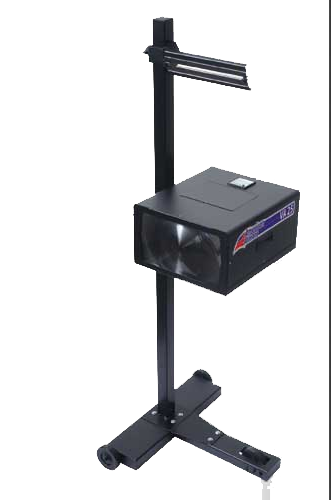 The VA 25 Optical Headlight Aimer is an economical and accurate aimer designed to fit any budget. The ease of use makes anyone an expert in just minutes. 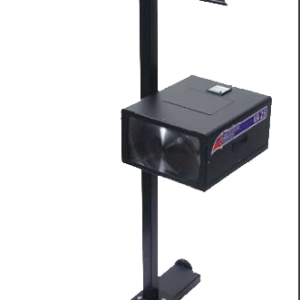 The VA-25 Headlamp Aimer is accurate and meets the SAE J599 standards. It allows for floor slope adjustment. A built-in light intensity meter helps assist in locating optical center of the lamp. The VA25 even provides for accurate adjustment of high mounted headlamps. Its portable, designed for multi-bay use. Includes a G2-Transit to calculate floor slope.